When Dr John McCosh took the earliest known photograph of the tomb in 1849, it had been a small print, capturing the dome of the tomb in a deep purple tone. In this photograph taken over ten tears later, technological advances allowed Bourne to take a full view of the tomb with the added interest of people in the foreground, an example of the care he took in framing his shots. 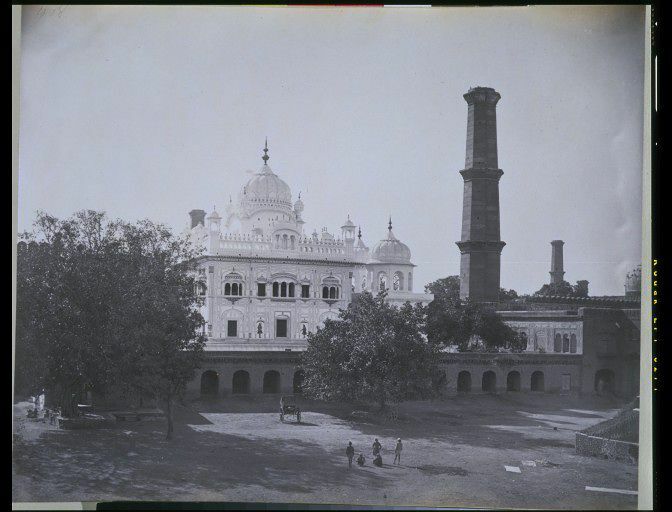 Photograph of Ranjit Singh's white marble tomb dominating the centre of the image, surrounded by two leafy trees, a single rickshaw and people in the foreground which emphasise the architectural scale. Historical significance: During the 19th century Samuel Bourne and Charles Shepherd became renowned as professional photographers, specialising in a wide variety of commercial material including spectacular images of Indian landscape photography and the 'Peoples of India'. 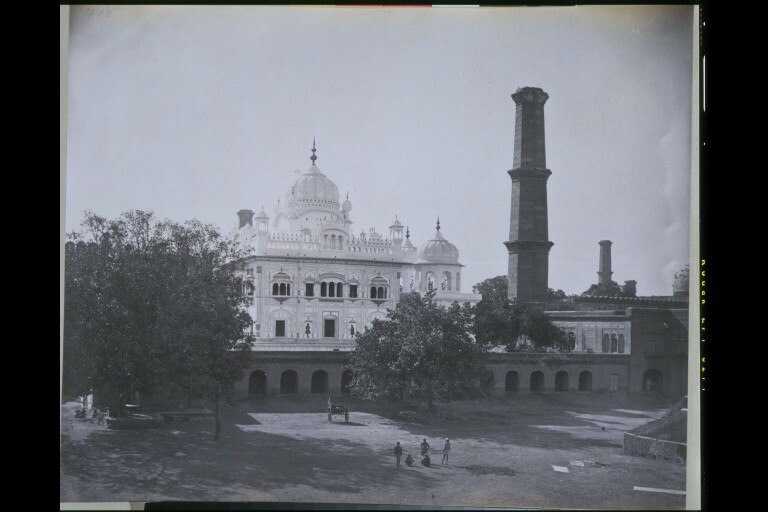 Ranjit Singh (1780-1839) became Maharaja of the Panjab at Lahore in 1801. Known as the 'Lion of the Panjab', he was a ruler of outstanding qualities whose unique achievement was to reconcile the warring factions of the Panjab and create a Sikh nation. 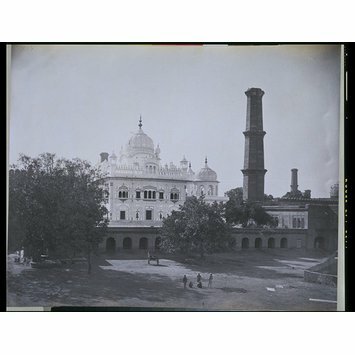 Photograph of Ranjit Singh's Tomb, by Bourne & Shepherd, Lahore, 1860's. Stronge, Susan (1999), Arts of the Sikh Kingdom, Victoria and Albert Museum Publication, London, p207, plate 236.